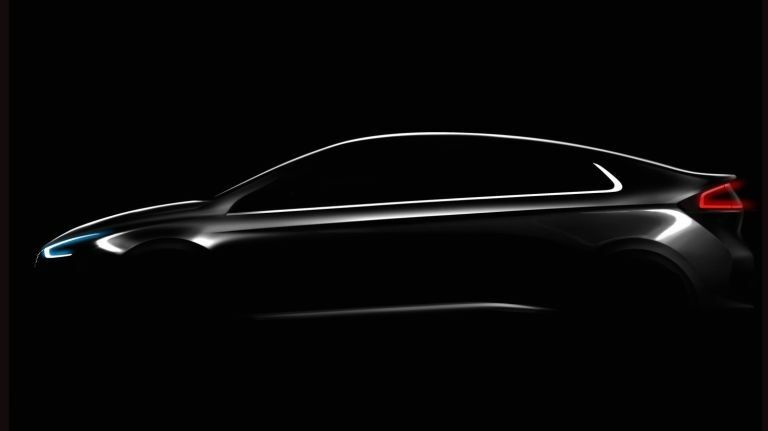 Due to be unveiled officially at a special reveal event in January, the Ioniq model is the latest motoring innovating to come from South Korean car manufacturer Hyundai and marks the company's first all-electric vehicle. More importantly, the Ioniq isn't just coming in a fully electric guise - Hyundai is planning to launch an additional two versions, each one with a slightly different take on eco-friendly fuel consumption. Alongside the electric version, consumers will also be able pick up electric-gasoline and plug-in hybrids. The firm also claims this is the first time a car has been presented to the public in three environmentally-friendly forms. Those claims aren't the only ones Hyundai is making for the Ioniq - it also says the chassis will have an aerodynamic design to reduce drag and an interior comprised of mostly environmentally-friendly materials. It all sounds very green and friendly, but we'll take those claims with a pinch of salt until we get a closer look at the Ioniq when its officially unveiled on 2016.